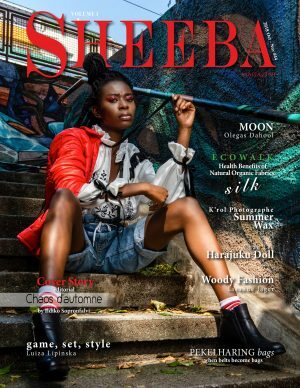 Sheeba Magazine is accepting creative/fashion editorials of 5-10 images focusing on fashion, beauty and design. Poses and composition should vary throughout the set. Vertical and bright images are highly prioritized. Quality over quantity. Your submission must include list of credits and name of the set. Credits must be provided as a text and not as PDF. Include links to online portfolios as well. Please send in high resolution image files not less than 2000px at longest side and not smaller than 1MB in size. Low resolution submissions will be rejected. Your submission must comply with our General Rules. Follow “Submit Editorial” button to proceed with submission. Next print issue: #49 May 2019, releases 1st May 2019. You may also submit via email by enclosing a link to dropbox folder with high res files and list of credits as a text to [email protected]. You may submit via wetransfer.com as well. Please do not send images as email attachments, provide a working link to dropbox folder instead. See our inspirations board here on Pintrest. Do you have questions? Visit our frequently asked questions here FAQ. We are looking to collaborate with writers, bloggers, online influencers and entrepreneurs. If you would like to submit a guest blog, post or article to be featured on our website and promoted on our social media please visit here Accepting Guest Posts. Sheeba Magazine is looking for motivated, enthusiastic and innovative young individuals who are interested in gaining more experience in online and print media. All positions are for those who enjoy working from home while being in any country of the world. All applicants must be fluent in written and verbal English without any exceptions, knowledge of other languages a great plus. Currently open Intern positions: Editor-in-Chief Assistant(s), Fashion & Style Journalist/Writer(s), Marketing Intern/Assistant(s), Art Assistant/ Graphic Media Designer(s). If you are interested to become a part of Sheeba Magazine, please send your resume and a short cover letter to [email protected] with subject title of intended intern position.